Egyptian security officials stood guard in Cairo as they braced for Islamist protests against the government that were only sporadic. contending that Egypt’s religious identity has come under assault since the military takeover last year that removed President Mohamed Morsi, of the Muslim Brotherhood. 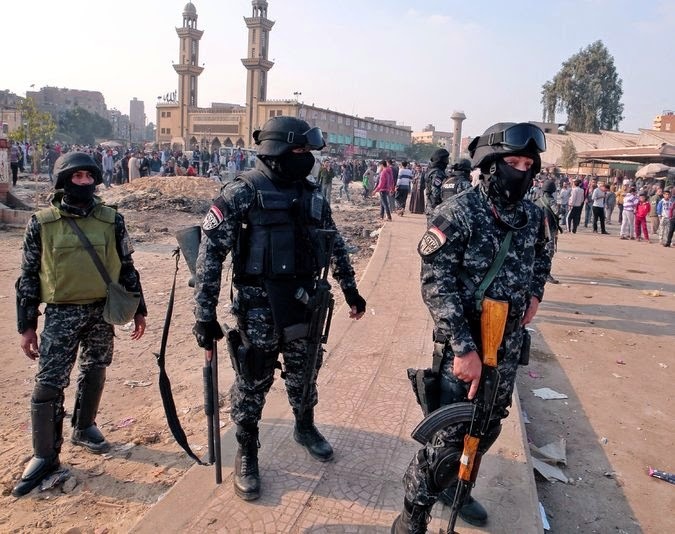 The Brotherhood, Egypt’s mainstream Islamist group, issued mixed statements about the protest, supporting the concept but urging demonstrators to avoid confrontations with the police and to keep protests peaceful.